Hobbies Make Me Happy: DRINKS ALL AROUND! 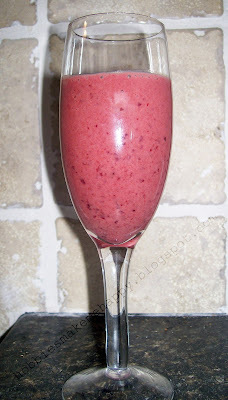 Hailey's Smoothie - not my favorite but I think with the changes I mention, it would be worth trying. 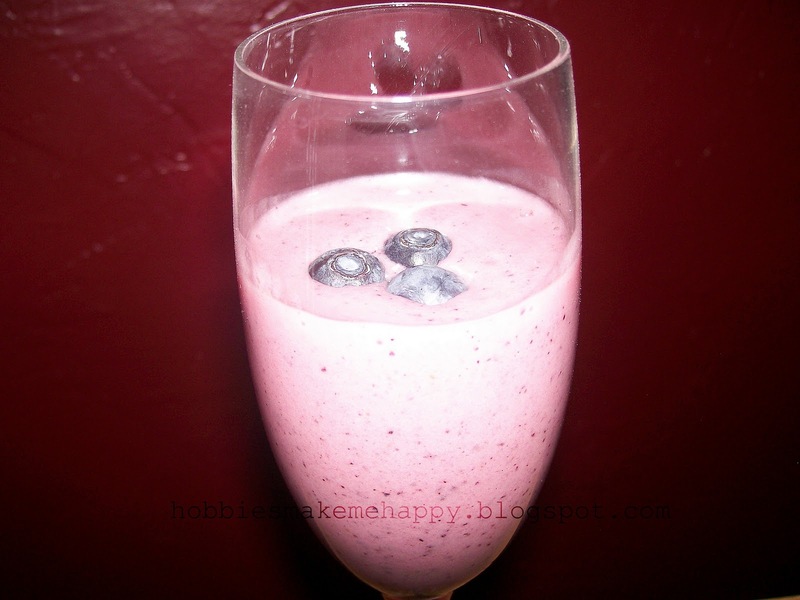 In a blender, combine the kiwis, frozen bananas, blueberries, yogurt, crushed ice, honey and almond extract. Blend until smooth. Shirley Temple II - We liked this one OK. It was pretty cool looking and tasted good. Cherry Banana Smoothie (adapted from this recipe)~ Overall we like this one, not a Jamba Juice by any means but good. Place the cherries, banana, lemon juice, yogurt, and vanilla extract into a blender. Cover, and puree, adding little bits of water until smooth. Pour into glasses to serve. Ogre Drink ~(we renamed this one- get original name here) This one tasted most like (what I would imagine) a cocktail to drink. Sweet and sour. Kids LOVED this one and I thought it was pretty good too. 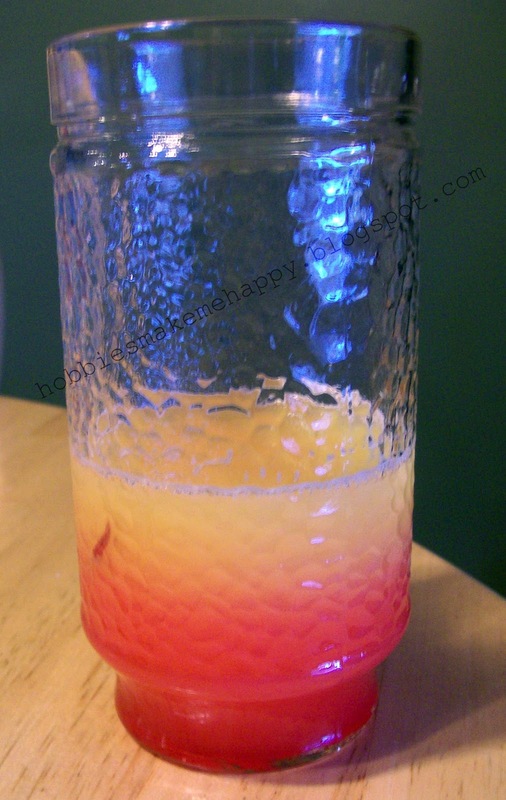 Combine the limeade concentrate, carbonated beverage, orange juice, water and ice in the container of a blender. Cover, and blend until slushy. 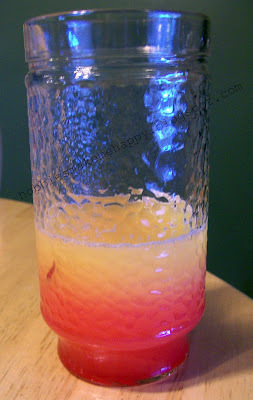 If you want to add liquor, add it last, and just blend for a few seconds more. Sorry no pic. The reason we renamed it (besides it's original name was inappropriate for children) was because it looked brown and not very appetizing. BUT it was yummy!